Tom has been shooting a bow and arrow for almost 40 years. During these almost four decades of bowhunting, Tom has taken over 350 big game animals representing over thirty different species. 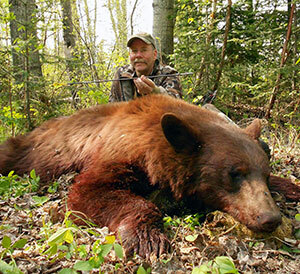 He has bowhunted in 27 states, 8 Canadian Provinces, Mexico, Botswana, Namibia, South Africa, New Zealand and Europe. Tom brings his passion for archery and bowhunting into millions of homes each week as host of “award winning” THE AMERICAN ARCHER TV SHOW. Tom has written over 300 articles, published in a dozen different magazines. No stranger to bowhunting, any advice Tom has to give is worth hearing.